Don't confuse busy with productive. Your to-do list should have 3-5 important items that only you can do. For the items that don't meet your top 3-5, hire a virtual assistant to complete these tasks for you. 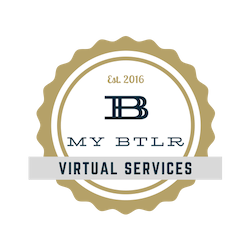 Sure, there are plenty of other things that need to get done, but delegating these to a virtual assistant you trust enables you to focus on the most important items. From managing your schedule to maintaining projects and controlling your inbox, a virtual assistant can handle things you don’t have time for, forget to do, or simply don’t want to do. Newer PostWhen Did Your To-Do List Become a Full-Time Job?